We offer a full range of bioprocess bags and containers, including single-use bioprocess bags, bioprocessing carboys and plastic vessels. 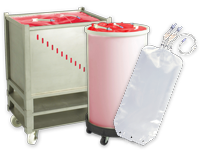 From standard sterile bags, to fully bespoke single-use systems. For use in bioproduction, laboratory, cell culture, vaccine production & upstream processing. Single-Use Bioprocess Bags – We offer a complete line of single-use bioprocess bags, liners and tanks for the preparation, collection, storage and transport of biopharmaceutical liquids. We can supply fully bespoke designs to suit your individual process requirements. 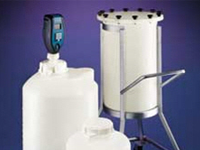 From 50ML to 3000L in a choice of 2D and 3D designs suitable for cylindrical & rectangle bioprocessing tanks. Carboys for Bioprocessing – We supply Carboys for bioprocessing, which offers advanced liquid handling and solution storage for many laboratory & bioprocess applications. 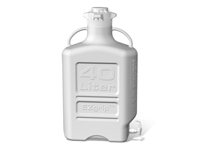 The range covers sizes from 2.5 Litres to 75 Litres, in a choice of materials. 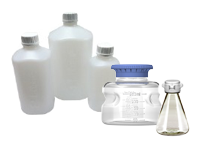 Flasks and Bottles for Laboratory & Bioprocess – We provide a full range of process bottles and flasks for lab & biopharm applications from Foxx Life Sciences, including Erlenmeyer Flasks, Shaker Flasks, Boston Square Bottles, Centrifuge Bottles and other Media Bottles. The market-leading, reliable bioprocessing containers we supply, can integrate into your new/existing process or application. Contact Us today to further discuss the range of products we can offer and how we can work together with you. Or request a callback at a convenient time to suit you.